Arsene Wenger was his adamant self at press conferences in Arsenal's pre-season tour when asked about Alexis Sanchez's future at the club. The Chilean forward has been linked with Manchester City, Bayern Munich and PSG but the French manager is desperate to keep his star who heads into the final year of his contract. However, Arsenal fans would be forgiven for not taking Wenger seriously. The past few years have shown that he does not always keep his word - which is sometimes not entirely his fault. Here are a few instances when he refused to sell a player only to cave in and sell him anyway - in some cases to a rival Premier League club. April 2017: "I personally think it is vital that Chamberlain stays at Arsenal. I want Oxlade-Chamberlain to be part of Arsenal Football Club for the next ten years." May 2017: "He has to commit his future to the club and hopefully he’ll do so in the summer." July 2017: "I expect him to stay, 100%. No matter the speculation, he will stay." August 2017: Alex Oxlade-Chamberlain moves to Liverpool in a deal worth up to £40m. 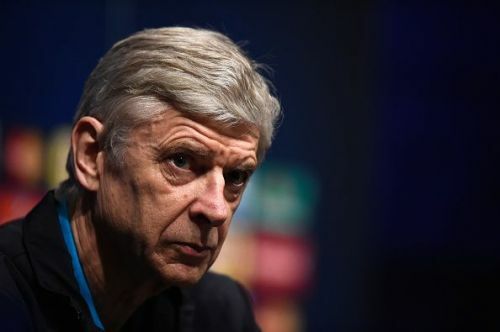 After signing him back in 2011 when he was an 18-year-old, Wenger spent six years trying to develop the midfielder/winger into a potent attacking player. But the Ox's progress has been far from satisfactory. However, the straw that broke the camel's back was the new contract extension offered which only increased his weekly wages to £80K/week. That was considered derisory by the player's representatives and the Gunners never had the upper hand in negotiations after that even though they significantly upgraded the deal. 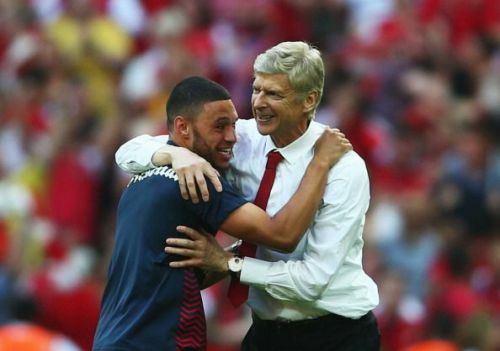 Oxlade-Chamberlain took his time and a few days before dealine day he had a one-on-one meeting with Wenger, after which the Frenchman was resigned to losing him. But he did manage to get £35m up front for a squad player who would have gone for free next summer. An alternate theory is that whatever Wenger said was all a ruse to jack up the transfer fee. The only grouse Arsenal fans had was that the money was not re-invested in the squad as the north London club failed to land Thomas Lemar from AS monaco on deadline day. Growing up with Arsene Wenger & Arsenal!